If you have a little one that loves Shopkins, this would make a great holiday gift idea! You can get the Shopkins Toy Carry Case Figure Storage Organization for only $10.99! You will be saving 45% on this purchase because it is normally $20.00! Make sure that you grab this deal soon because the prices can change at anytime on Amazon! 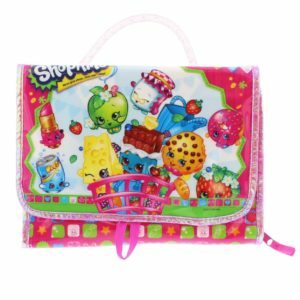 CLICK HERE TO ORDER the Shopkins Toy Carry Case Figure Storage Organization for only $10.99 today!